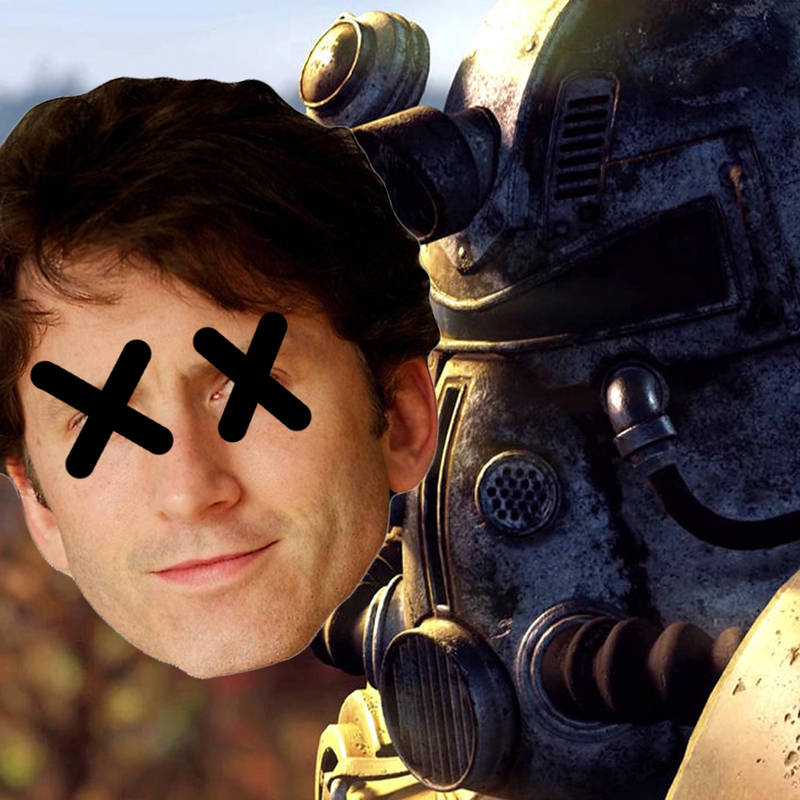 We are not reviewing Fallout 76. The release of Bethesda’s Fallout 76 has been nothing short of a complete disaster. Terrible reviews (even from games media). Old glitches that were never fixed. Tedium, very little to do. Canvas bag changed to cheap garbage. Annoying map and compass layout. And accidentally doxx’ing their own customers due to a hiccup in their pre-orders for the Power Armer Edition. Ouch. The UK sales figures are showing a huge drop in sales, a whole 80% or more down from Fallout 4. It’s not a good month for Bethesda. It must be an even worse week for Todd Howard. At least as of now, they are fixing the issue with the cheap bags and getting people what they bought. I’m trying my hardest to play this game and enjoy it, but it is so fundamentally flawed, it’s hard to work up the nerve to carry on. This game doesn’t feel like an actual product. It’s at best either an early alpha. It feels more like someone tried to mod a survival game with Fallout elements. But this combo doesn’t stick so well. It’s… bad. You know it’s bad. We know it’s bad. Everyone knows it’s bad. Except for the concurrent user base who are still playing it. They can force their fun in all they want, it’s still not going to make it any better. So, that’s a bad review, right? 0/2 GRAPHICS – Why does this game look and run so terribly even on the One X? 0/2 STORY – There is no story. What about player progression incentives? Nope. There is none of that either. 1/2 AUDIO – The new soundtrack is surprisingly soothing. But there’s nothing special about anything else. 0/2 GAMEPLAY – Realtime VATS. The inability to pause or be safe anywhere whatsoever. 0/2 FUN – It’s not. It’s really not. I can’t “MAKE” it fun either. Nobody is playing. If you wanted a number, there’s your number. But that’s not a real review. And that’s no way to go about it. So, no, that score doesn’t actually count, and we will review the game eventually. We are going to wait and see if Bethesda can fix this. Why? Because it’s possible. There’s been plenty of games that failed when they started and turned out great later on. We all remember the backlash Hello Games got when they released No Mans Sky. A lot of the features they said would be in there were absent. They didn’t say much about this. Instead they put themselves back to work. Now we have a No Man’s Sky that has a lot more to do and suits many different playstyles. The same could be said of Destiny 1 & 2. Same for Final Fantasy XIV. Even Bethesda themselves had this with the original release of Elder Scrolls Online. Each one was pretty short and dry on content, but expansions greatly improved upon them. The same could be said of a large number of indie survival games. That’s the boat we are in right now. Bethesda, your game is broken. Fix it. We’ll get back to you when you do. Kurt Christel AKA chet:( is the EDITOR-IN-CHIEF at Hard Mode Gamers. He is a jackass of all trades and master of some. He likes being both a hipster and an anti-hipster simultaneously. He's also a rampant soft drink enthusiast. Favorite games are currently ones that simply don't feature sandboxes. 11 Reasons Fallout 76 is GREAT!